winter snows melted, there were fences to fix. 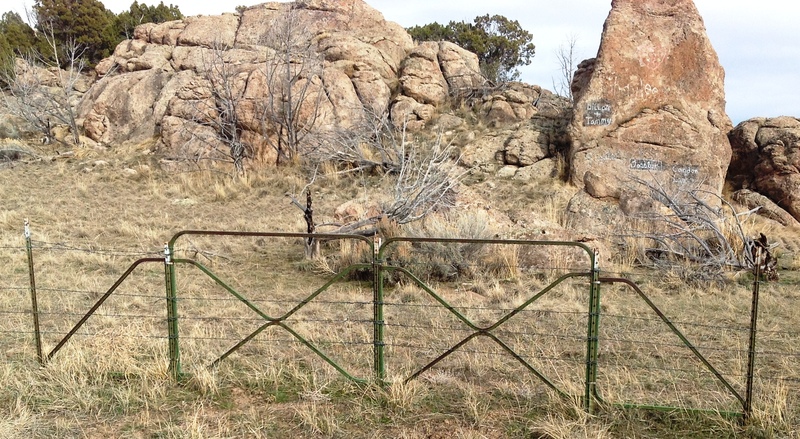 Some of the fences were in steep remote areas where access to them would be by riding a horse or walking. Carrying large wood posts and extra wire for a wood "H" brace was a challenge, extra labor was needed to dig post holes and build the corner braces, it was time consuming work. Hence, my father came up with a more efficient way to build fences. He developed a system of using steel H brace panels and end braces compatible with steel fence T posts. The only additional items needed for this new system were a few hose clamps and a screwdriver. This new system has proven to work very well. SteelT posts and Easy Fence H brace panels are easy to transport, do not burn if a range fire goes through , and are strong enough to withstand the stress from pulling the wires tight. Easy Fence H brace panels work in a variety of terrain, and are easy to Install. An entire fence corner can be installed and ready to stretch wire in the time it takes to dig one hole and bury a wood post. To us time is money and that's why Easy Fence products work so well.